Joint venture builds on MITx and Harvard distance learning; aims to benefit campus-based education and beyond. CAMBRIDGE, Mass. – Harvard University and MIT today announced edX, a transformational new partnership in online education. Through edX, the two institutions will collaborate to enhance campus-based teaching and learning and build a global community of online learners. EdX will build on both universities’ experience in offering online instructional content. 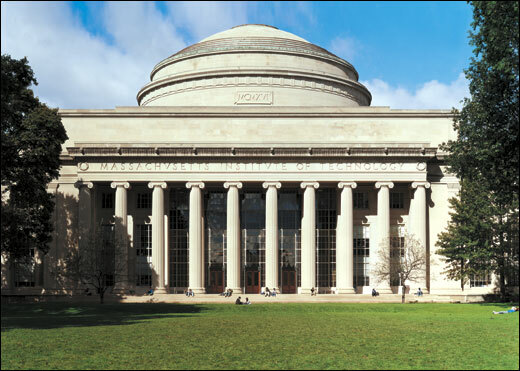 The technological platform recently established by MITx, which will serve as the foundation for the new learning system, was designed to offer online versions of MIT courses featuring video lesson segments, embedded quizzes, immediate feedback, student-ranked questions and answers, online laboratories and student-paced learning. Certificates of mastery will be available for those who are motivated and able to demonstrate their knowledge of the course material. MIT and Harvard expect that over time other universities will join them in offering courses on the edX platform. The gathering of many universities’ educational content together on one site will enable learners worldwide to access the course content of any participating university from a single website, and to use a set of online educational tools shared by all participating universities. MIT and Harvard will use the jointly operated edX platform to research how students learn and how technologies can facilitate effective teaching both on campus and online. The edX platform will enable the study of which teaching methods and tools are most successful. The findings of this research will be used to inform how faculty use technology in their teaching, which will enhance the experience for students on campus and for the millions expected to take advantage of these new online offerings. “EdX represents a unique opportunity to improve education on our own campuses through online learning, while simultaneously creating a bold new educational path for millions of learners worldwide,” MIT President Susan Hockfield said. “Harvard and MIT will use these new technologies and the research they will make possible to lead the direction of online learning in a way that benefits our students, our peers, and people across the nation and the globe,” Faust continued. The initiative will be overseen by a not-for-profit organization based in Cambridge, Mass., to be owned and governed equally by the two universities. MIT and Harvard have committed to a combined $60 million ($30 million each) in institutional support, grants and philanthropy to launch the collaboration. Anant Agarwal, director of MIT’s Computer Science and Artificial Intelligence Laboratory, who has led the development of the MITx platform under the leadership of MIT Provost L. Rafael Reif, will serve as the first president of edX. EdX will enhance the traditional residential model of undergraduate education on both campuses by supporting an unlimited number of experimental online approaches to teaching that can be used by Harvard and MIT faculty to benefit their students. It will also provide global access to some of the world-class instruction that already occurs at both institutions, but which is only one aspect of the full Harvard College and MIT experience. EdX will be separate from ongoing distance-learning initiatives at both institutions, including MIT OpenCourseWare and courses offered by schools at Harvard such as the Harvard Extension School, Harvard Business School and Harvard Medical School. The universities will work to develop further the online learning platform already begun with MITx and to populate the edX website with courses from the MIT and Harvard faculty. During the early stages, the two universities will work cooperatively to offer as broad an initial set of courses as possible. A first set of courses is scheduled to be announced in early summer and to start in fall 2012. Fabulous. Does it also include a fabulous tuition?